Comic books are the rage at the moment. If it exists, it’s probably a comic too. 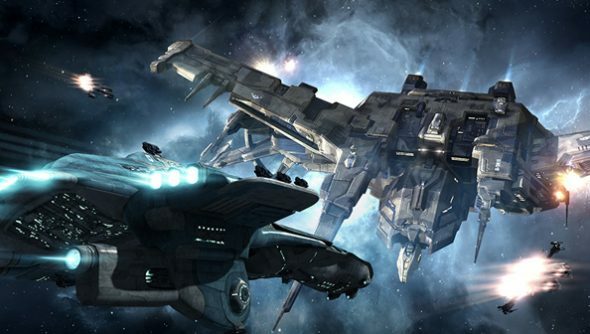 EVE Online is getting its very own comic too, but its pages will be special. They may be written by a famous writer, but the events they are based on are not from EVE lore, but from events that actually happened in-game, caused by actions committed by real players. PC gamers, we finally have our first historical novel. The first few issues of the comic from publisher Dark Horse will tell the story of the fall of Band of Brothers, an alliance whose name was known and respected in every region of EVE’s galaxy. In 2009, drama hit the fan as Band of Brothers discovered one of their directors was actually a double agent, and in fact held true allegiance with their biggest enemies: the GoonSwarm. This revelation caused mass hysteria among Band of Brother’s government, causing the empire to collapse after five years of prosperity. The events are being retold by comic book veteran scribe Daniel Way, who’s work at Marvel has included Wolverine and Deadpool. The first issue is due to be published February 19th, with the run lasting until April 2014. A hard-back collected edition releases June 4th 2014. CCP are clearly pushing the idea of narrative based on stories from the EVE player history archives, with the True Stories website, and the upcoming EVE TV series.